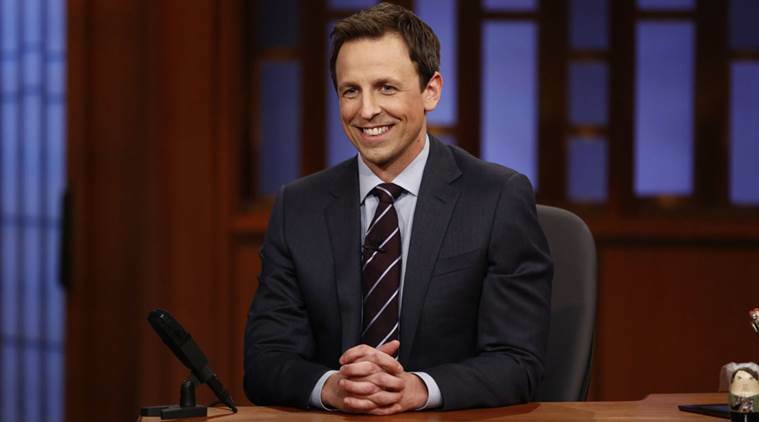 Comedian Seth Meyers is slated to host the 75th Golden Globe Awards Ceremony on January 7, 2018. The news was announced on Thursday on the occasion of Thanksgiving via Golden Globe’s website and Twitter, reports aceshowbiz.com. “The Hollywood Foreign Press Association (HFPA) is excited to have Seth Meyers host the 75th Annual Golden Globe Awards. With his natural comedic wit and innate ability to charm audiences, Seth will help us carry on the celebratory tradition of recognising the best in television and film at the Party of the Year,” said Meher Tatna, President of HFPA, on the website. Meyers got the hosting opportunity after gaining critical acclaim for his political coverage on his show with “A Closer Look” segment which often tackles President Donald Trump’s administration. There is a good chance that the host will talk about politics or make fun of the president at the event. Meyers is known for his knack of comedy writing and prowess, having served 12 years as the writer of “Saturday Night Live”. The nominations for the 75th Golden Globe Awards will be announced on December 11, and the two-hour Golden Globe anniversary special airs on December 13, with Will and Grace stars Debra Messing and Eric McCormack hosting.